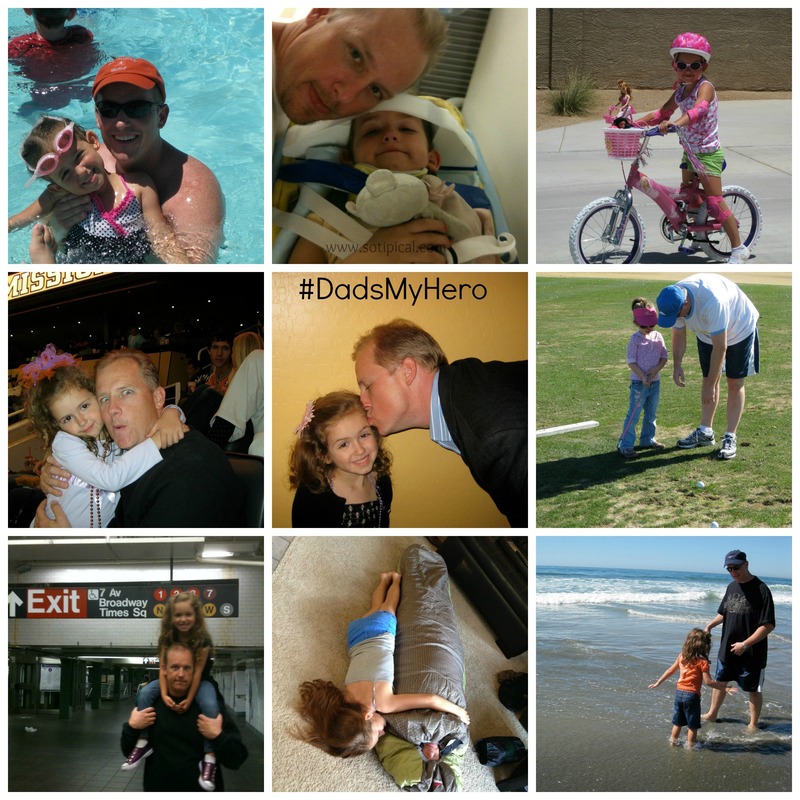 Dads Make The Best Heroes! My youngest daughter and my husband are the best of buds. I love watching their special moments together. Whether they’re playing a game, doing homework or just talking, her eyes light up and she wears a big smile on her face! I recently “interviewed” her asking what she values most about him and it was very short and very sweet. Mom, when I need comforting, I come to you. But when I want to feel safe, I go to Dad. I always know how much he loves me and that he will do anything to protect me, no matter what. I know that when I am with him, he will make sure that everything will be ok. Dad also promised to teach me everything he knows, and thats a lot of stuff! My daughter created a list of things he has taught her and many of them were first time experiences that Daddy introduced her to. He took me to my first basketball game. And baseball too. He helped me be a better swimmer. He took me on my first date. He took me on my first subway ride in NYC. He helped me feel safe in the ambulance when I was really scared. He takes me on rollercoasters. He let me bust a hole in the wall when we fixed the plumbing. He helps me study for tests. He took me zip lining. He took me kart racing. He takes me to the movies and plays video games with me. He is taking me camping! No offense, Mom, but you would NEVER do some of these things! She then started talking to me about the camping adventure they have planned this summer. 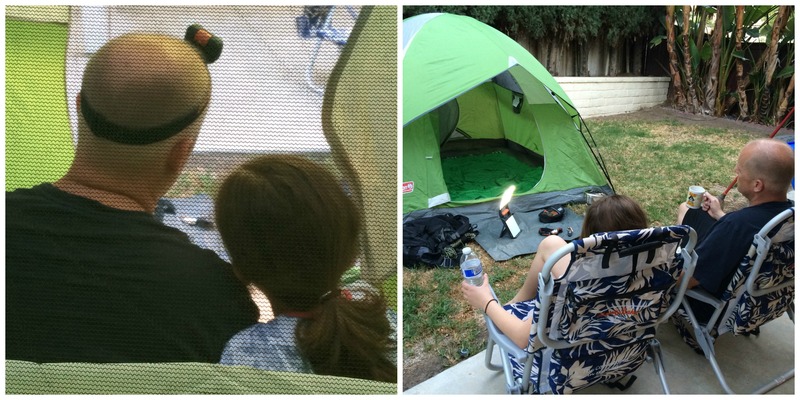 Since she has never been camping before, they made a big plan to have a backyard camp out to “practice”. 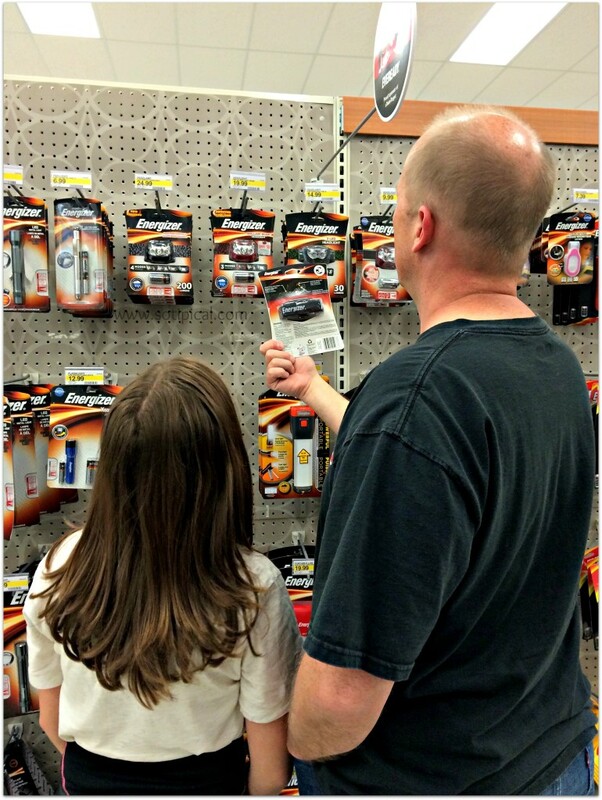 With Father’s Day coming up, she suggested we get Dad a new lantern and an Energizer Headlight at Target, but he had to come to the store to help pick out the perfect ones. (Print this coupon to save up to $4 on your own Energizer Headlight!) As you can see, there was a pretty serious conversation going on during the selection process! First they set up the tent! 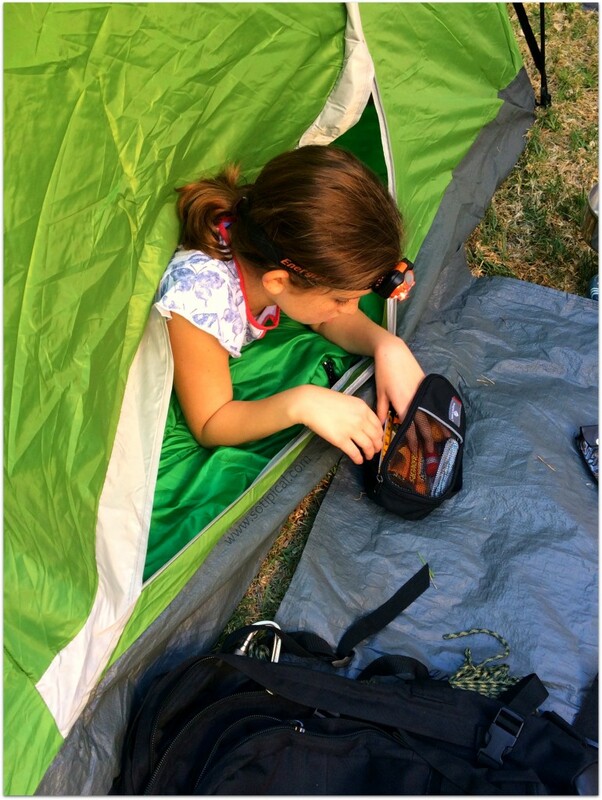 Once the tent was up, Dad pulled out his camping gear so she could see the different supplies and learn how they are used. 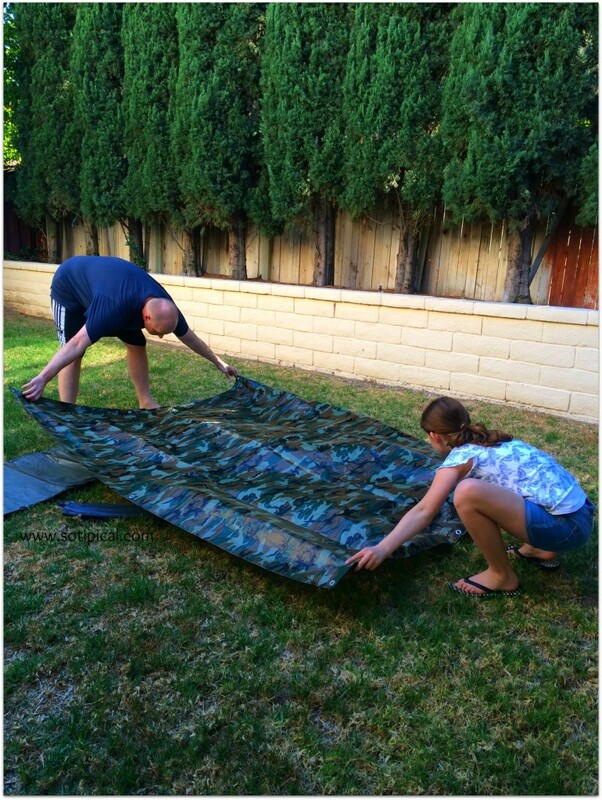 They decided this wouldn’t be the practice campout, instead she would learn about how to set up camp. They spent a lot of time planning for the trial and the actual camping trip. It was a fun experience and Dad taught her many things about camping she didn’t know before. 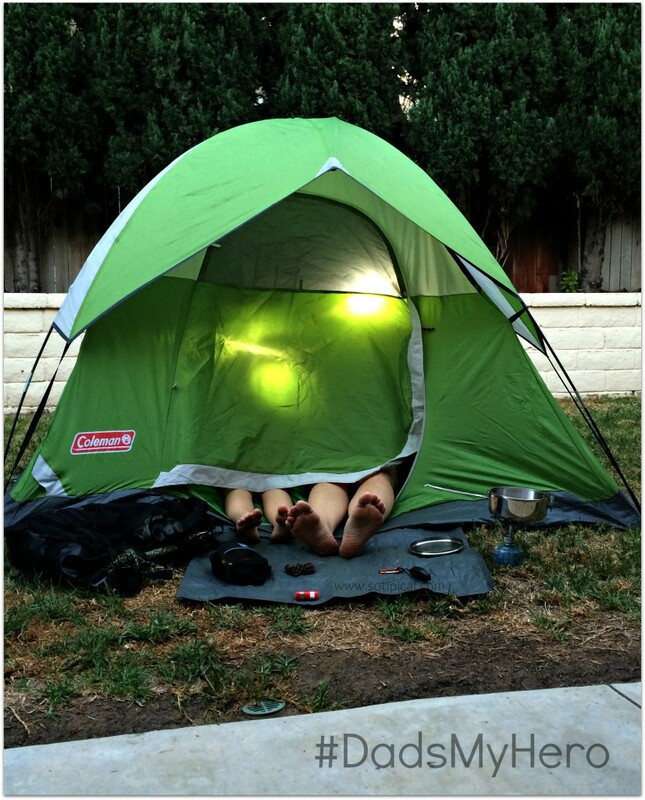 The Energizer Headlight has become her new favorite camping accessory and I often see it being used at night in the yard and as a reading light before bed! Find even more creative uses for the Energizer Headlight at DadsMyHero.com. It was a fun afternoon and the excitement to go on their camping adventure is even greater than before! I would love to hear how you would use your Energizer Headlight! I am sure he hopes so too! I am not a camper, so I wouldn’t be surprised! Oh, this is so precious! I love the special connection they have! It is such a blessing for children to have a dad who is involved in their lives! Watching my husband be a dad has made me fall even deeper in love with him! I agree! Dads make the best heroes. Great post. So sweet, the daddy-daughter bond is wonderful. Awe we love camping with the grand kids, great memories being made! Very cute. 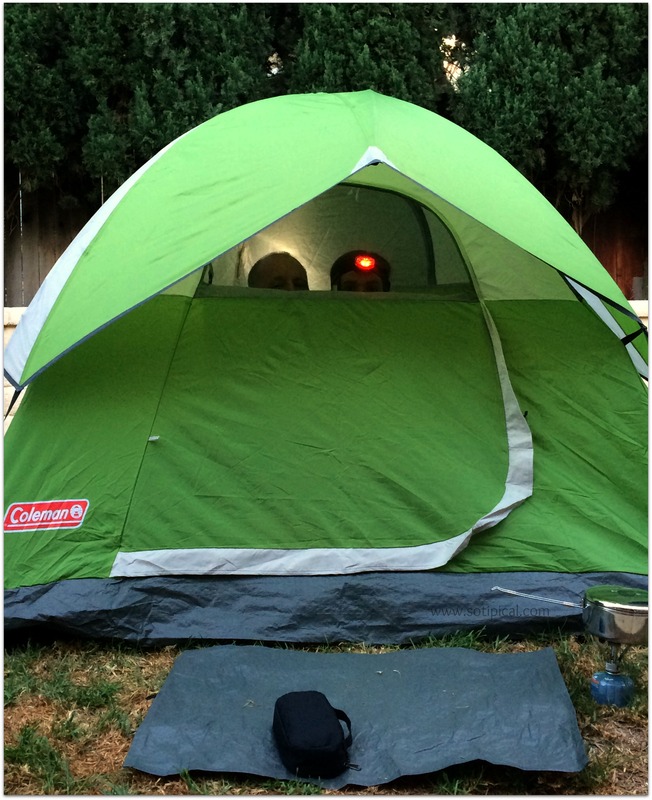 I would never be able to camp in my back yard, I’m afraid of all the animals I hear scurrying around at night! I really enjoyed this post. The photos are adorable! Esp. the one with their feet outside of the tent. We actually have a headlight. My kids don’t use it anymore, but they use to walk around the house with it. My daughter would use it to read books. I HAVE NO IDEA what my son did with it. My husband uses it when he is working on a project under the house. Aww, I love moments like these! Thats so great that you camp with your son! Its also great to know that the Energizer Headlight lasts so long!